Boats all around us. Sport craft and commercial fishermen. It was September and the straits were filled with silvers. Rods bent and nets flashed and sunlight winked on the tips of the waves. The limit was six silvers per person and it had become a race to see who would get there the fastest. Of all of us on the boat, my dad and I were closest to finishing out. Now we each had five fish in the cooler, having just completed a double on chromer coho off Point Carrew. Dad stripped line off the reel and got his rig back into the water first. I remembered that silvers are often attracted to the prop wash and, instead of casting my bait back, I dropped the plastic hoochie down into the froth three feet off the stern. The flasher flashed and the hoochie wiggled barely three inches down in the aquamarine. Where there had been no fish before, now there was a salmon with my hoochie in its mouth. When it rolled away, I set the hook and before it could pull out line, Erik plunged the net in and the fish was ours. Dad didn't even have time to set his rod in the holder before my limit was filled. To the first-timer on a guided saltwater trip or a charter, it looks like everyone has an even break, as good a chance as the next guy to put fish in the cooler. It ain't so. On just about every trip, someone is going to have the hot rod, the best seat in the boat. Someone is going to be the best stick. It might as well be you. Here's how to get the most out of your next fishing trip on blue water. "The one I worry about is the guy that tells me how good a fisherman he is, all the way out to the fishing grounds." 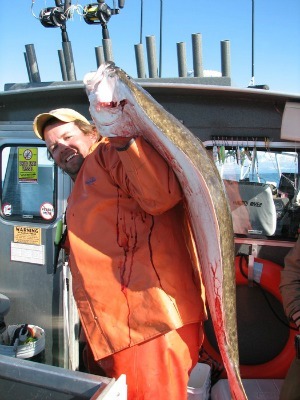 Mike Mann is the skipper of Manns Charter Service on the Kenai Peninsula. Nobody on his boat wants the clients to catch fish more than Mike. "When you want to be successful, the best thing to do is listen to the skipper and the deckhand," Mann said. Mann tries to loosen everyone up before he leaves the marina. "I like to see smiles on all the faces," he said. "The white-knuckled fisherman is the hardest to catch fish for." "Your only expectation should be to have a good time." When I met him, Erik Knutsen ran a boat out of Yakutat from April through September. One of the worst things, he said, was a client that hit the boat tired, hungover, drunk or in some other self-induced state that made them easy pickings for the seasickness demons. The wind, the water and waves are great equalizers. Motion sickness can, and probably will, strike someone on the boat. Remember your seasickness medicine. Take that little pink tablet two hours before launch time or put the patch behind your ear four hours before fishing. If you are prone to the queasies, stay away from the diesel exhaust. Keep your eye on the horizon and think about anything except feeding the fish. "Don't put yourself in a position to get sick. Stay away from greasy food, coffee, orange juice and other acidic drinks." There is a bit of a learning curve for the freshwater angler to get over. "The worst are the walleye fishermen from Wisconsin or Minnesota," Mann said. "They pull too early or jerk too early. I have them put the rod in the holder and they are baffled that they can actually catch a fish without holding the rod. The rod holder is one of the best teachers for halibut." The rod loads and the tip pulses - that's the time to pick up the rod. "Women are way more successful at it, not only because God intended it that way, but they listen and they are much easier to teach," Mann said. When the battle is on in earnest, sometimes the line goes slack. Maybe the fish threw the hook, maybe it's charging the boat. "Once you start reeling, don't stop," Knutsen said. "It doesn't mean you lost the fish. Yet." If you do lose a fish, get that line back in the water fast. You can't catch a fish if your bait isn't in the water. "Even bait-less or fouled or with a weed on the hook, you still stand a chance." Don't be a dis-respecter of small fry. One of my pet peeves is the guy who complains about catching small fish. Sometimes the first fish is a small one. Sometimes it is the only one. When you tell the story later, that one fish could be the most important one. Be honored to have caught it then put it back and try to catch another. Don't forget, any fish is better than no fish. Every fish is a gift. Speaking of gifts, if your rod is the hot one, don't be the guy that doesn't pass around the good luck. When you get close to your limit and you get the next fish on, hand the rod off to someone who isn't getting as many grabs. Terry Sheely makes his home in Black Diamond, WA, and fishes Alaska as much as anyone from the Lower 48. It would be hard to find someone with more experience on a wider variety of saltwater charters. He is usually the quietest guy on the boat until he has tagged a couple of fish. "I see people that fish the way they want to fish, but not the way the fish wants to be caught. They think that just because they fish a certain way back home, that it should work in Alaska. They don't see it like the skipper does every day." Listen to the guide and crew; they do this 40 hours a week or more. They're probably good at it. Remember Rule Number One. Sheely says he sees a lot of people try to second-guess the captain. "He is looking at the graphs and he says there are a lot of silvers at 30 feet and then they try to catch the kings that aren't there 90 feet down." On the other hand… Sometimes the captain reads it wrong. That's where an angler's experience can come into play. Sheely recalled one instance at the crack of daylight when the captain stopped on a GPS waypoint and said, "We're fishing for kings, drop 'em down to 90 feet." Sheely looked around and saw dimples on the surface, a ball of baitfish on the move, and caught his first fish just beneath the surface before the other fishermen had their baits down. On a charter boat, sometimes all the reels are set up for right-hand crank and some for left-hand retrieve. 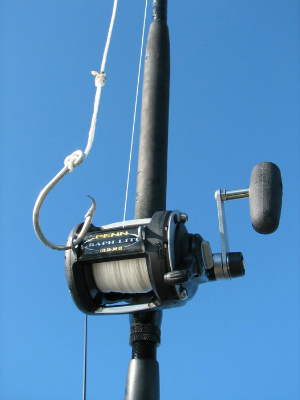 On most boats there is a mix of casting rod types and sometimes there will be a spinning setup. The better an angler is at switching back and forth between types of reels, the more fish the angler is likely to put in the box. Learn to reel and hold the rod with either hand. Then, there will be no down time, no learning curve when the deckhand hands out the rigs. Some places on the boat fish better than others. Pay attention to how the water is running, which way the wind is blowing. "If you want to catch silvers on a charter boat, head to the bow," Sheely said. "Silvers are attracted by the prop wash of the motors and they can get pretty close to the top." When trolling for silvers, Sheely often goes to the bow of the boat and runs his bait under the hull or just to one side of the wake into the turbulence of the motors. "If you're not motor-mooching, if you're dead-drifting bait, the stern can be the place to go," Sheely said. "I always try to get to a corner, it gives me left and right mobility." Whether targeting bottom fish, silvers or kings, watch the run of the waves, the lay of the wind and anticipate which way the boat will drift. "I like to be where the boat is not drifting over my line," Sheely said. "So that the line goes out away from, not under, the boat. I want to be where the line goes down and out." That said, it is good form to rotate. Sometimes the captain or the deckhand will call a move. Now is the time to be a good sport and let someone else have a turn at the hot spot. In general, bigger lures catch the attention of bigger fish. And that's a good thing unless there's a slot limit. If the object is to catch a slab halibut, rig with a big split-tail jig or grab the biggest herring in the bucket. Big baits catch big fish. On the other hand, bigger baits catch fewer fish. So there's a trade-off. If you have a favorite bait, jig or fly, don't be afraid to use your own gear, especially if there are already a few fish in the box. But ask the deckhand or the skipper first and see what they think. Bring a pair of latex gloves so that you keep your human smells off the bait. Gasoline, diesel, coffee and other scents can taint the aroma of herring and might keep the fish off your hook. To further cover the human scent, bring a bottle of anise oil and hit your bait with a squirt before you drop it in. "Lazy rods don't catch fish," Sheely said. "With a bait or a jig, retrieve it, keep it active." These fish are predators, used to chasing their food. Most anglers on the boat hold onto the rod or let the rod rest in the rod holder and the baits aren't worked much at all unless the deckhand is watching. "If you're not motor-mooching, you have to keep the bait active. 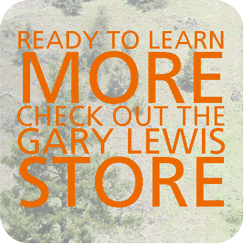 Lower it down then bring it up in 10 to 20-foot bursts," Sheely advised. Then keep track of what's happening and where the bait is. "If the bottom is at 150, but you got the bite at 75 feet, get back to 75 feet." "If somebody else is hooking fish, ask them how they're doing it." Salmon, halibut, rockfish - they are schoolers. Very few of the species we target in the Pacific are not in schools. They run together with no more than 20 to 30 feet difference in depth in the water column. "Don't waste your time fishing water that doesn’t have a fish in it." This is the time to pay attention to the electronics. Keep an eye on the depth finder or ask the captain if he's marking fish, and at what depth. Remember Rule Number One. No one wants to catch fish more than the guide.